Some creative people learn to work anywhere – alone in a room facing blank walls or seated in a cubicle with lots of interruptions. 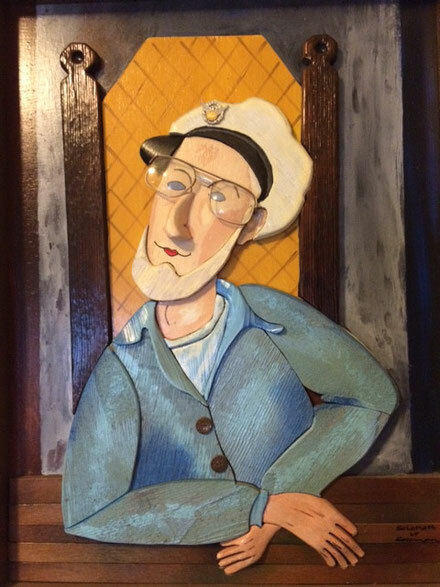 Artist Howard Solomon works and lives in a castle he built in a central Florida swamp (in the middle of nowhere). 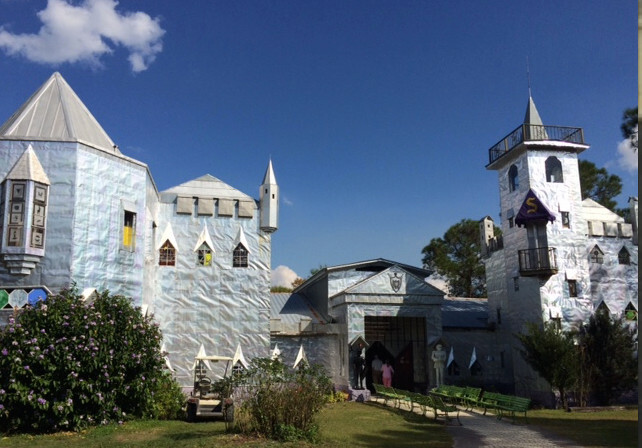 Made from discarded aluminum printing plates, the castle is filled with Solomon’s “junk art” metal sculptures, stained glass windows and wood carvings. Each piece makes a comic statement -– often sarcastic. 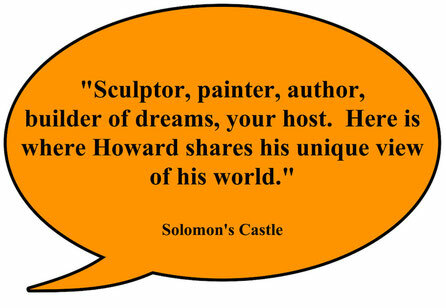 Like Howard himself, the castle is filled with imagination, humor, and creativity. It may not be your ideal place to work, but it's a great place to visit for some quirky fun.